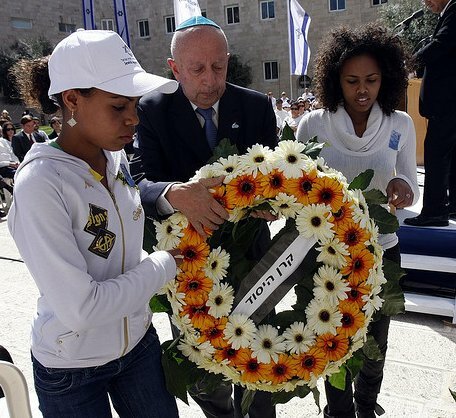 or "The Meaning of the number 22, 993 in Israel"
In South Africa (and other commonwealth countries) fallen soldiers are honored on Remembrance Day, usually on the 11th of November. 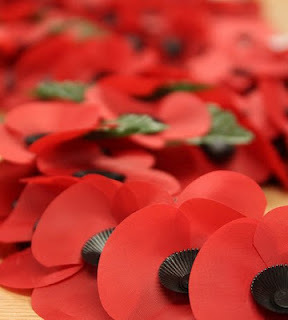 Ceremonies are held in a few of the large cities and small paper poppies are sold to raise funds for military veterans in need. But this have not prepared me for the way that the fallen soldiers are remembered in Israel. Just like Holocaust Remembrance Day, all places of entertainment are closed early the previous afternoon, the television stations only broadcast documentaries about Israels various wars, ceremonies are held all over the country and everything comes to a standstill for two minutes when the sirens go off. In the past few years also the victims of terror are remembered on this day. Every single soldier who have died in the line of duty or person who have died because of a terror attack is mentioned. One of the television stations only broadcast the names of the fallen and the date of their death. 22, 993 names one after the other. One notices how many soldiers have died in the Yom Kippur war - it took more than one hour so show all their names. Near the end of Memorial day the names slowly start to become familiar, one remembers seeing their funerals on television, the circumstances of their death and their faces in the newspapers. Another television station broadcasts interviews of the families of the dead soldiers. We see photos of school trips and birthdays and videos of how they learned to walk or played in a band. And you cannot believe that these wonderful children have died and left their poor parents behind. Children should bury parents - parents should not bury children. It is sad to see young mothers raising their babies on their own. Another mother lost her husband and two sons in a bomb blast - everything in the world that she loved. Israelis sometimes seem to cocky, too outspoken and too sure of themselves but remember that many of them have also lost too much. The price for living in Israel is sometimes very high. These sad stories made me think a lot on how one can honor all these soldiers and victims of terror. It is often said: "Let their deaths have not been in vain." But what can I do to ensure that their deaths have not been in vain? There is only one answer: LIVE. I will live my life as hard as possible. I will reach my goals, make my dreams come true and leave as big as a mark as possible. I will remember those soldiers who have payed the price so that I can swim in the sea of the Galilee, pray at the Kotel (Western Wall) and take photos of the wild flowers of Israel. Life in Israel is not always easy, but we owe it these fallen soldiers to live our lives as fully as possible.